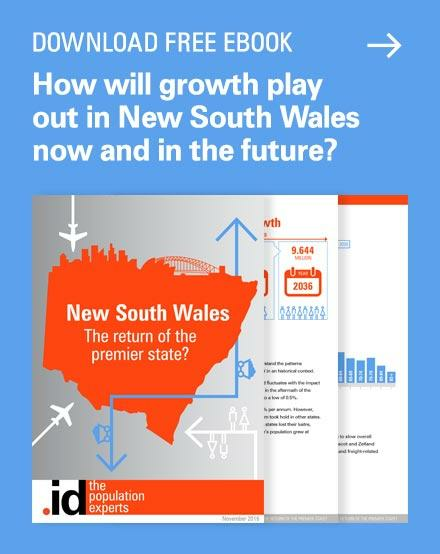 Australia – outgrowing the world? Despite two world wars, the 20th Century produced an unprecedented explosion in the human population. But that was then and this is now, and the human species isn’t growing like it used to. In fact, the latest UN projections show that by the end of this century the global population will have actually plateaued, and the next century will likely be defined by a global population in modest decline. As sanguine as this global scenario might sound, many nations and regions are already facing some harsh demographic realities. Western Europe, for example, will struggle to post any growth at all over the next twenty years, before leading the world’s regional blocks into decline thereafter (Chart 1). Even the previous population powerhouses of Asia and South America are expected to go into decline sometime in the next 40 to 50 years. The truth of it is that the global population is only being kept on an upward trajectory by exceptionally strong growth in Africa (literally off the chart above). Without Africa, the decline would be coming around a lot quicker. Australia, however, is expected to ‘outgrow the world’ as our population moves towards its own plateau sometime around the end of the century. 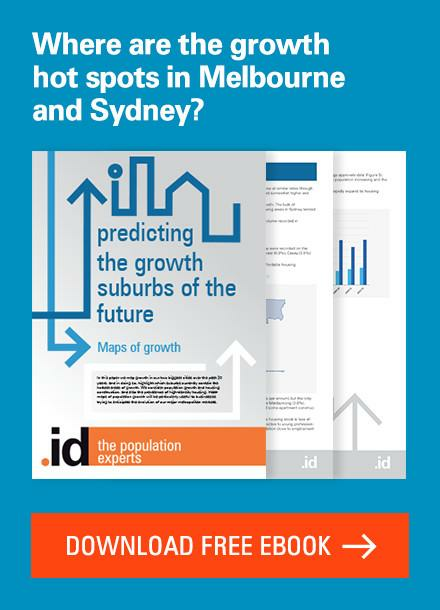 If population decline is the drag on economic growth that it is commonly assumed to be, Australia looks to be relatively well insulated. However, demographic pressures will radically reshape our economic context. Of our major trading partners, only the USA will maintain an upward trajectory through this century (Chart 2). The picture among our other major trading partners is not so bright. China has quickly become an essential part of the Australian economic story in recent years, but the Chinese population is actually expected to peak as soon as 2030. In Japan, a nation once as economically important as China, the population has already entered long-run decline. The populations of India and Indonesia will continue to grow reasonably rapidly in the first half of this century (though it should be noted, less rapidly in Australia.) But even then, the UN is expecting the populations of India and Indonesia to peak around 2060. This potentially sees Australian exporters of the future selling into a rapidly shrinking market. Of course, it is not just sheer population numbers that determine the size of Australia’s export markets. Market size is a function of population numbers and wealth. 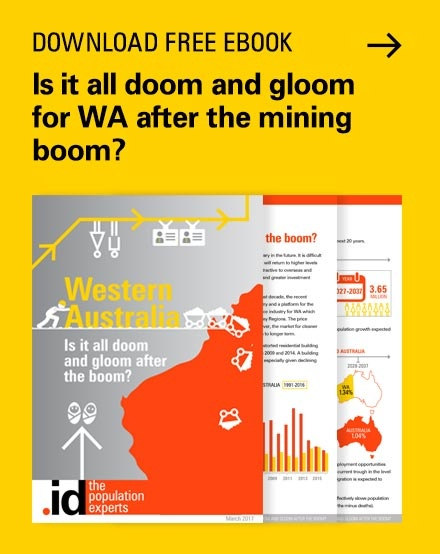 Indeed, the mining boom of recent years was driven in large part by China, but not by the growth of their absolute population, but by the emergence of a relatively affluent, urban middle class. These dynamics will persist. However it is exactly these dynamics that are accelerating population decline. There’s no contraceptive like wealth. There is a direct and clear correlation between increasing wealth (going hand in hand with the education of women) and declining in birth rates. All this sets up a potential battleground. Advanced economies will be looking to import younger, talented workers to bolster growth and support their own ageing population. But developing countries, facing their own ageing pressures and declining populations, will be reluctant to let their best and brightest (and youngest) leave. We’ve typically thought about population ageing being a largely European problem. And until now, it has been. 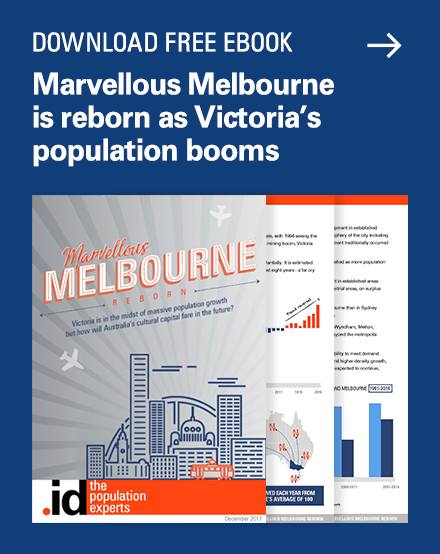 However Australia needs to come to grips with the fact that it finds itself in a region well on the way towards population decline, and be very alert to the challenges that this presents. 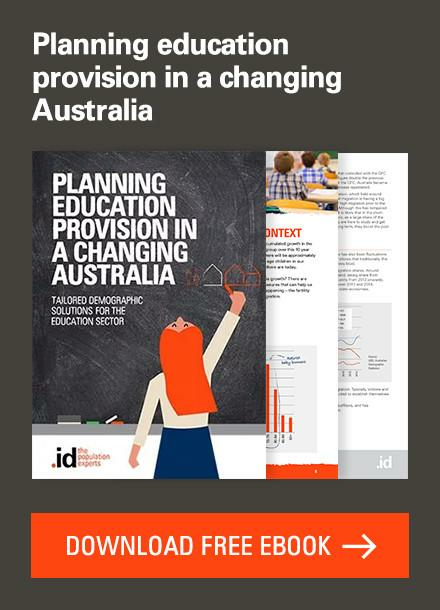 We’ve written more about how Australia is responding to this challenge in our free e-book Three Growth Markets in Australia. This is an excellent resource if you’re looking to understand how key consumer markets will evolve over the next 30 to 50 years. Ivan is interested in how communities have access to education, housing, health, employment, recreation and each other. People in public and private organisations can be frustrated in their ability to contribute to this “good society” when they don’t have the right information to make critical decisions. Ivan’s idea is to introduce spatial thinking to organisations, look at places through a demographic lens, and use the power of storytelling to be persuasive. Today over 40 smart people have joined him in this mission. 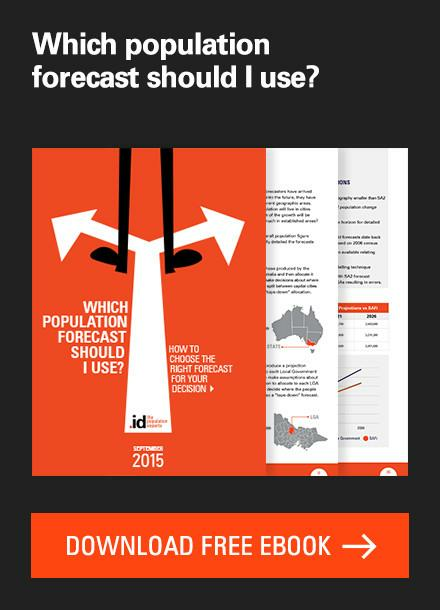 Each year over 1.5 million people use id’s 500+ web applications to inform their decision-making. Over 10,000 people subscribe to .id’s newsletter and over 50,000 learn from .id’s blog every month. Today over 30 smart people have joined him in this mission. 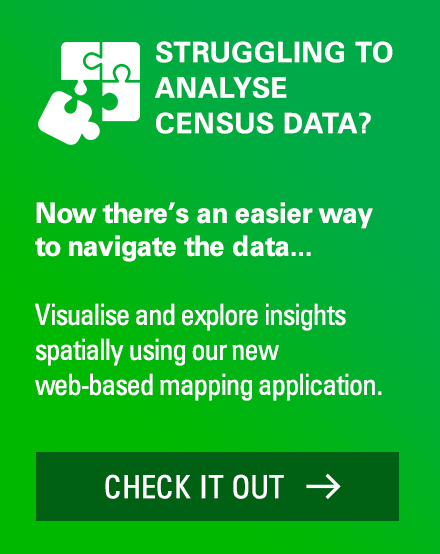 Each year over 1.5 million people use id’s 500+ web applications to inform their decision-making. 10,000 people subscribe to .id’s newsletter and over 30,000 learn from .id’s blog every month. Ivan loves surfing, his family and the dog. Wow! That was a brilliant article, Ivan, and such an eye-opener. I had no idea that we’d see population decline in Asia this century, and world-wide by the end of the century. That certainly will have a massive economic impact. It’s good that you mentioned the impact of wealth and a growing middle class, however. While there may be fewer people in 100 years time, all things being equal, they should be relatively more affluent, and therefore have greater purchasing power than they do now. This will hopefully offset the economic impact of population decline to an extent. 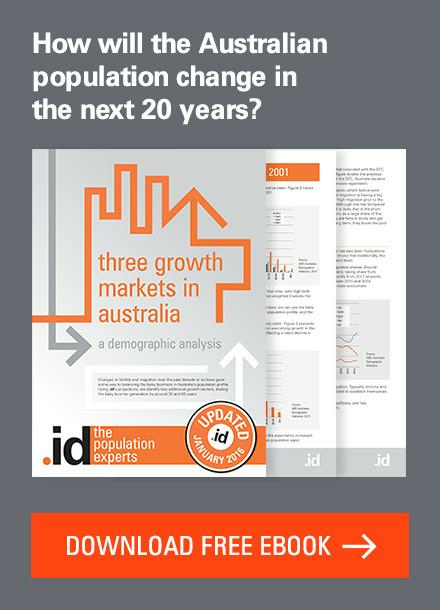 I’m now going to read your book ‘Three growth markets in Australia’ to gain more insight into this issue. Keep up the great work! Next story Does ‘Big Australia’ mean ‘Big Immigration’? Previous story A smokefree generation in New Zealand?